Former world No. 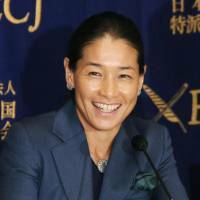 4 Kimiko Date said Wednesday she has yet to give life after sport a serious thought, as she is still going back and forth between strange emptiness and ecstatic relief now that she has retired from competitive tennis. “There’s a sentiment of sadness but at the same time, I’m relieved that I don’t have to worry about my condition every morning when I wake up. I do feel reassured and liberated,” said Date, who ended her career with a straight-sets loss at the recent Japan Women’s Open. When life resumes its normal course, the 46-year-old knows she would like to act as a sports ambassador and help tennis occupy a predominant place in the country, but she is not sure whether she will ever choose a career in coaching. “Am I going to be coaching? This topic has come up a numerous times, even before I decided to retire. Being an athlete, I’ve experienced firsthand and know what a tough job being a coach is,” Date said. Though she might not see coaching as a calling, Date has done her share of mentoring to younger female tennis players, including Kurumi Nara, Risa Ozaki and Nao Hibino, who have all been ranked inside the WTA’s top 100. It is no wonder fans are hoping to see her return to the court as coach after a first career that ended when she was 26 and seemingly at her peak, and a second that lasted nine and a half years, through which Date proved she is well qualified for a post-athletic career in coaching. But in her mind, all signs are pointing in different directions. “So if not coaching, what do I want to do? When I look at Japan, the environment for the sport of tennis is not perfect. The Tokyo Olympics and Paralympics are coming up so I believe the world of sports will change going forward, but it’s not just about the Olympics,” Date said. In order for that to happen, Date says improvements in facilities and software are needed, and these are areas she feels she can contribute by sharing her insight and experience. Date, who underwent knee surgery in April last year, said she got used to playing through pain after 41, when she felt like she suddenly hit the age barrier and needed more than a good night’s rest to recover from pain and fatigue. She feels like if she had the medicine, science and technology available to players today when she started her career — with a wooden racket — her first career would have lasted longer. But when she looks back at what she was able to accomplish, even without modern-day conveniences, she is proud to know she was able to age gracefully as a player, standing on the court until the very end and playing her game until the last minutes. Knowing how demanding a tennis player’s life can be with a very short offseason and hardly any break between tournaments, Date had to make a point about the tremendous pressure fans put on athletes like former world No. 4 Nishikori, which can be both a privilege and a burden. “I think it’s an extraordinary achievement for him to be in the top five considering his height and build. I know that some people think that his goal should be to become a Grand Slam champion, but I think he deserves credit for what he has already accomplished,” Date said. 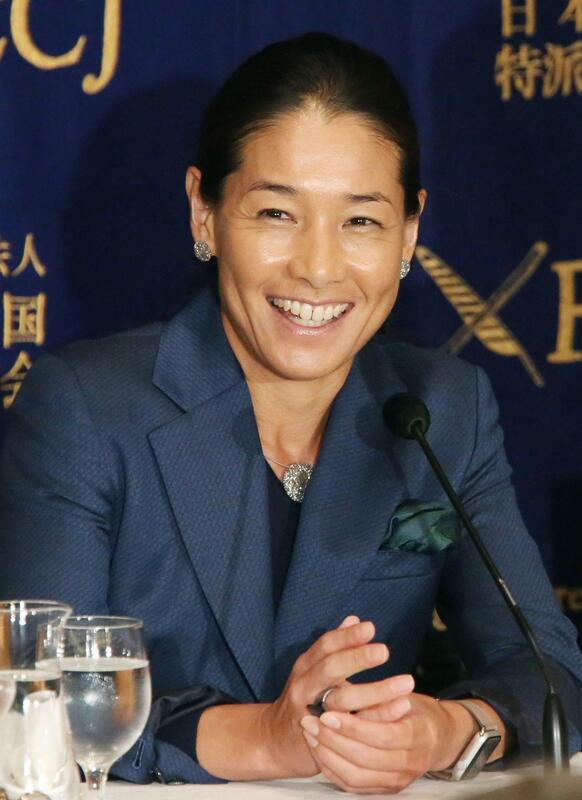 When asked how she was able to become one of the few Japanese survivors in top-level tennis, Date said for her, like with every player she has seen at the top, hating to lose is a bigger factor than loving to win. “When I was 18 my coach told me to quit if I’m not able to participate in the Grand Slam within a year. I had just started my career and I didn’t understand anything about professional tennis then, but I believed I had to get there,” Date said. “It’s really that strong will that brought me there. It’s about having a goal. And to continue to win, I believe you have to have a strong hatred of losing. That’s the secret. People think I was born a champion but that’s not true. I placed third in the very first tournament I competed in when I was eight. I would always lose and cry as a child. But I’ve always hated to lose,” she said.